Category Archives: Face It. Embrace It. Move On. Figure out what makes you Come ALIVE! Do more of that. Be more of that. Come ALIVE right where you’re at! Now… not maybe, not later. Here… not when you get, you know, there. When you do, you inspire us to Come ALIVE too! In Your Career, Your Business, Your Life? Are you surrounding yourself with people who are as ALIVE! as you want to be? DO ONE BOLD THING: Promise yourself you won’t Sleepwalk thru another moment of this fleeting hour… another hour of this great day… or another day of your precious life. Go BOLDly. Confidently. Success? Happiness? It’s Up To YOU! Own It. PHOTO: Title card in my 2-in-1 Inspired Action! 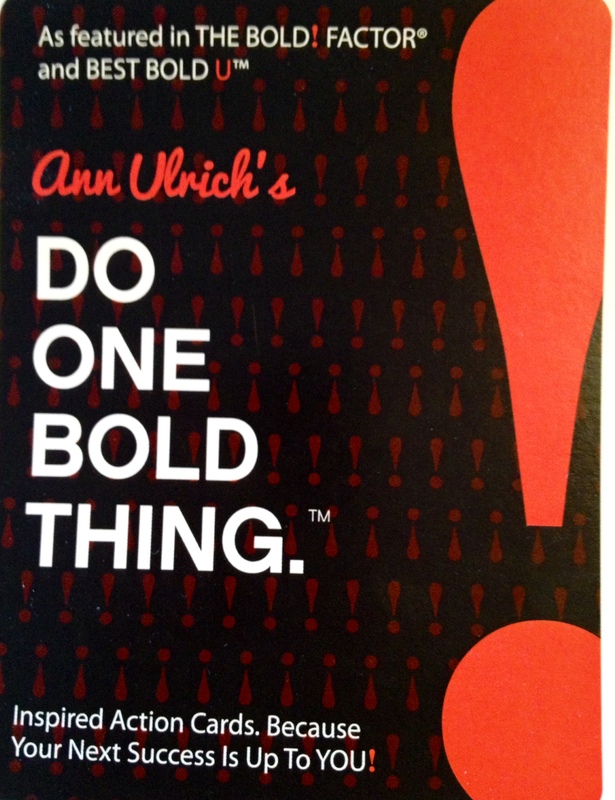 Success Card Set: DO ONE BOLD THING.™ and SHIFT YOUR OLD TO BOLD!™ I lead thought-provoking table discussions with these cards, which feature favorites from my trademark strategies shared in BOLD… as round table topics in my interactive Keynotes, and in-depth strategy conversations. 5 Ways To Friend Your Fear & Create Your Next Success! Smile?! Yes. Trust that you’ll get through this. It isn’t the first time fear held you in its vice-like grip, right? And it won’t be the last. So why not take a little pressure off! Smile to yourself – as a powerful positive nod to believing in yourself – trusting that soon you will be looking back on this whole thing with a smile at how fear could have incapacitated you – rendering your impact nothing more than a past al dente spaghetti noodle. Picture yourself looking back and realizing sure, it could have been worse, and yet, it wasn’t. Smile. 2. Re-Think *Immobilized* To Stop The Quicksand Feeling Of Fear. We all have times we’re stopped in our tracks – immobilized – in fear. When no matter how strong we are, how experienced in business and life we are, the time comes when we simply cannot take a single. step. forward. Worse yet, the downward spiral of sinking in quicksand, engulfed in fear. In the moment it can all feel like eternity. It’s not. Being immobilized is real, for sure. It’s also temporary. You will get through this! And right about now you may want to repeat #1 above and focus on believing in yourself again. Trying to slay that dragon called fear? Friend your fear! Let fear be the fuel that helps you find the strength and energy to soar, back on top of your game again. Fear is a sign of vulnerability; your honest vulnerability helps keep you real. Fear helps guide your decisions, interactions and actions, and helps you consider how you might approach, prepare or execute differently next time. Fear teaches. Fear inspires. Fear reminds you how much you care. There’s a lot to friend in fear! 4. See Fear As Getting Caught In The Rain. OK, A Downpour. Both fear and downpours can take your breath away. Both can startle you with unexpected timing and intensity! Both can feel relentless, inescapable… yet both are often fleeting. Both can render your moment, your day, your life… wrecked. STOP. Shift your thoughts, actions and outcomes from Old to BOLD! Even when caught in a downpour, drenched to the bone, you didn’t melt, right?! 5. Don’t Buy Into Fearless. When someone claims to be forever fearless – or advises you to be – don’t buy it. Work with your fear. Accept fear as a natural and necessary reality of your work, your life, your growth. Let fear fuel your next success! Own It Like You Own It. Photo: Like a warning sign, fear can alert you to be aware. I prefer to think of my own fear as stopping me in my tracks momentarily, alerting me to new possibilities. It took me years of being afraid of the dark to realize it’s much more fun to friend my fear, than fear my fear. Posted in BEST BOLD U, BOLDometer, Courage Is More Fun Than Fear, DO ONE BOLD THING., Empowerment, Excellence Is Contagious! So Is Mediocrity., Face It. Embrace It. Move On., Friend Your Fear, How Cool Is That, If You're Going To Lead...Lead., Inspired Leadership, Inspired Living, Self-Leadership: It's Up To You!, Shift Your Thoughts Actions Outcomes From Old To Bold, Soul Behind The Steel, The BOLD! Factor, Trust Yourself. You Know What To Do. A thought-provoking *chicken or egg*, isn’t it? It takes Courage to be Confident. It takes Confidence to be Courageous. COURAGE is the most important of all virtues. Because without COURAGE you cannot practice the others consistently. Let your Courage (your ability to do something that frightens you) support, guide and champion your Confidence. First: Let Courage be your WILLINGNESS to step in… the engine deep inside you that says not necessarily *I can* do this (that will come)… start with *I WILL* do this, fear and all. When you WILL do, feeling the fear and doing it anyway… that’s bravery, that’s Courage. This is where you start. Next: Your Courage shows up and suddenly you’re ready for your Confidence to kick in… moving you into ACTION… even tiny-step action… to achieve whatever is right in front of you. Confidence is your *can do*, I DID IT! feeling. You’ll build new Confidence by taking Courageous, inspired action on whatever is stopping you. When it comes to being BOLD… Confidence is the gift in being Courageous. I hope you find comfort in this next time you have an unsurmountable situation of any size roadblocking you from achieving that next thing. Big or Small. Work or Life. 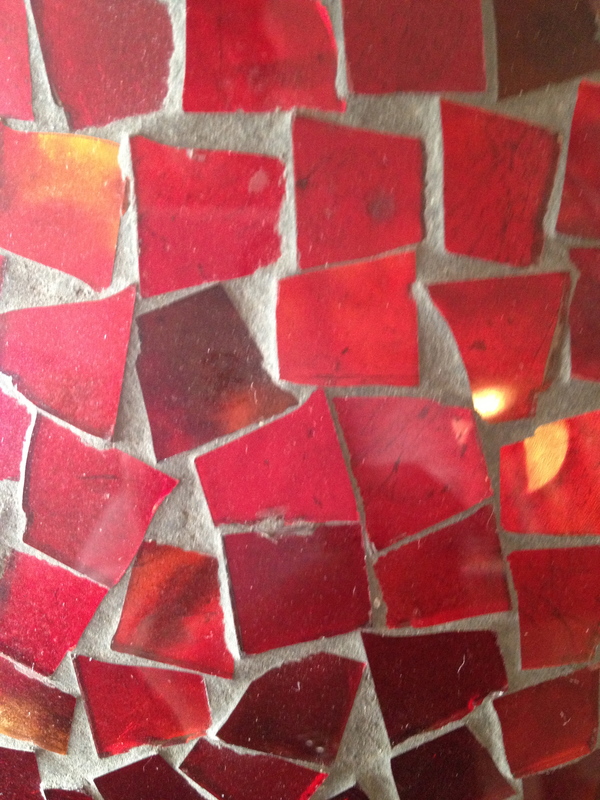 Photo: I love colored glass. This vase makes us smile year-round. I move it to a spot where it catches the sun and dances little spots of sunlight across our living room. I’m smiling thinking about it. Note to self: Fill life with simple smile-inducing-ness! PS. THANK YOU FOR BEING HERE. I hope writings here inspire you to take new action, to Do One BOLD Thing to create new success, as you Lead Live and Love your right-fit-for-you BOLD Exclamation Point *! * Life! Because even tho it may be dressed as Business or Work, it’s all Life. Posted in BOLD REVIVAL, Courage Is More Fun Than Fear, Excellence Is Contagious! So Is Mediocrity., Face It. Embrace It. Move On., If You're Going To Lead...Lead., Inspired Leadership, Inspired Living, Self-Leadership: It's Up To You!, The BOLD! Factor, Trust Yourself. You Know What To Do. Sometimes, dreams really can take a lifetime. No more waiting (for any of us!) before claiming and creating our next *it*. Is FEAR holding you back from leading and living the work and/or life you crave? Life is too precious to waste one moment by not exhaling out of fear. Try this instead: Risk falling on your face – or stubbing your toe trying – by moving forward one step at a time directly into whatever you’re most afraid of… so you can stop that slowly-sinking-in-quicksand feeling called fear… and start breathing life into your life again… coming ALIVE again! Put yourself out there and make something happen. Claim your dream and make it non-negotiable. Let us know so we can cheer you on! What’s your non-negotiable dream you will make happen… even if it takes a lifetime? Photo: I love noticing dreamy light fixtures. 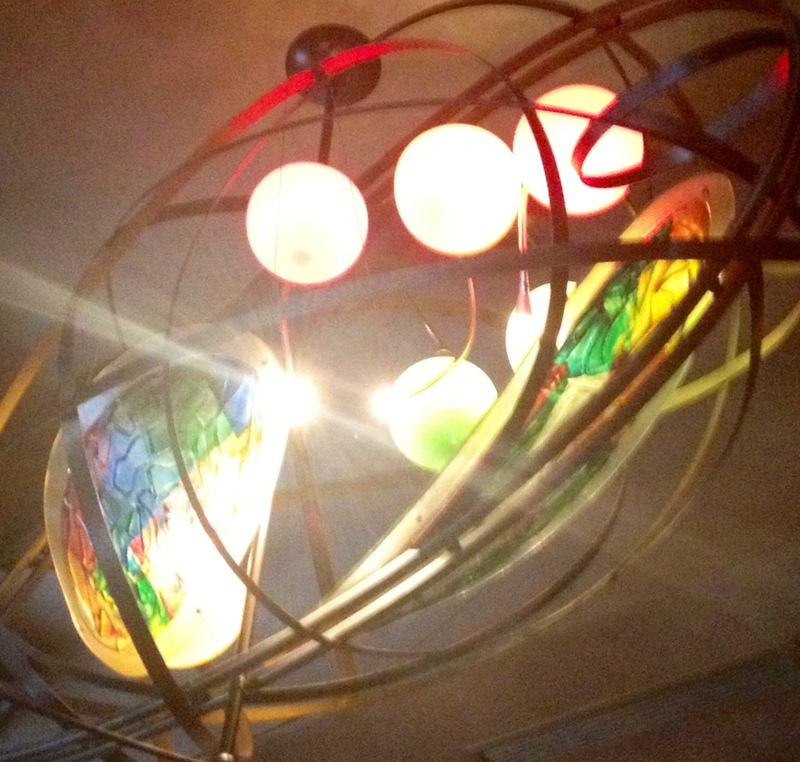 This lights up a favorite downtown Minneapolis restaurant, Zelo. It didn’t strike me until the drive back home. It took being turned down for a client project I was referred into which, as many direct referrals can be, this was indeed a perfect fit. A potentially perfect fit. Or so it seemed. Professionalism, self-leadership, executive presence and confidence. At her executive salary, in her executive role, and in this successful fast-paced firm, the plan to have her contributing at a high level was imminent, clear and achievable. On many counts, she was simply a Rockstar. There was one obvious thing missing: her own motivation to change. That can be a project deal breaker for me. Altho I didn’t get the chance to decide that because she instead chose the route of continued perpetual assessment. (This would bring her to nearly one dozen with no new action taken – other than completing the next assessment!). With no action taken on the findings, as a result, nothing changed. Which is why I was brought in… Next! Not for change sake and not as change for others. That’s a tough road. CRAVE IT?! with the right plan and support system in place, you are setting yourself up for SUCCESS! REAL passion and REAL motivation and REAL ownership and REAL commitment. Think about it the next time you wonder why the workouts didn’t last, the project didn’t get finished, the popular book never got read, or the passion in general fizzled or derailed. I’m thinking about this, too! As a result of that almost-new-client experience, I better understand now why I drift from certain goals and yet I spot-on nail a few others! Maybe you needed it or thought you wanted it… because if you truly CRAVED the outcome or result… you’d still be on your way or looking back, smiling at moving forward on – and achieving – any goal you actually CRAVED. Let your head take you to whatever goal is next… but it’s your PASSION that will light your fire and keep it flaming bright… through every obstacle, distraction, and excuse that threatens to derail you. And YES there will be obstacles, distractions and excuses to derail you!
! Ask yourself: Is THIS change is worth your BEST BOLD EFFORT. What’s motivating you? Why?
! Next: Run a quick Need. Want. CRAVE. test on your personal BOLDometer to scale up and validate your Why. That’s Confidence. That’s Self-Leadership. That’s Success! 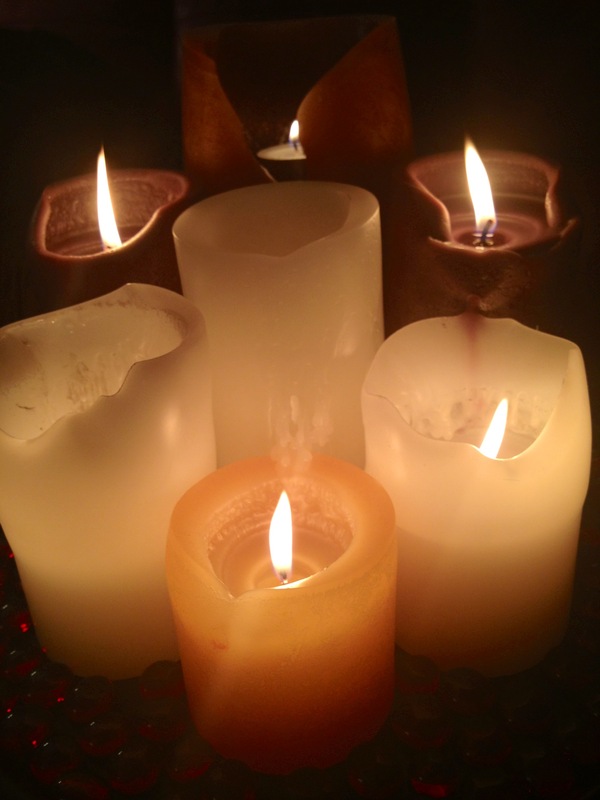 Photos: We light this tray of candles, lots of candles actually, as our moveable fireplace in our condo. 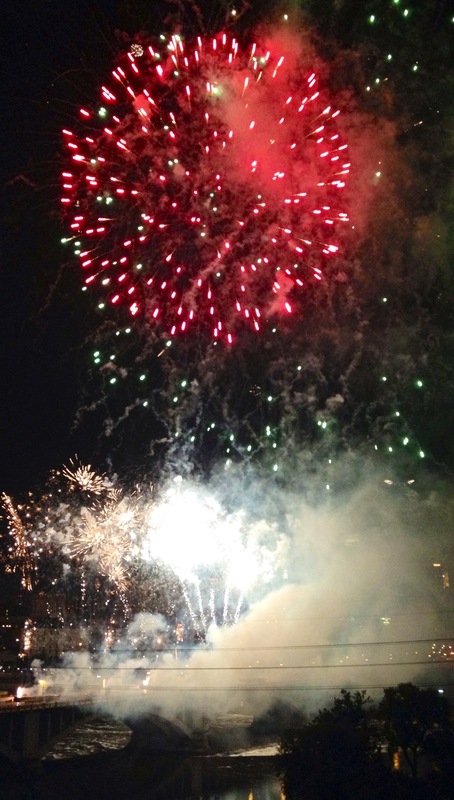 Fireworks are a favorite annual event – shot over the 3rd Avenue downtown Mpls bridge – right in front of our deck. Celebrating milestones in your work and life keeps you moving forward, owning where you are right now, and smiling at how far you’ve come! I hope you’ll share a recent or anticipated – personal or professional – milestone in the comments below… so we can celebrate you! First a ripple, then a rumble, then an avalanche of momentum launch every time we celebrate each other’s success… It’s how Excellence becomes Contagious. I’ll start the ball rolling my sharing mine: About a month ago I began writing my book. No longer talking about it… I’ve cleared the deck (not easy to do!) to stay-put (that’s the hard part!) and actually (FINALLY) get this dream accomplished. 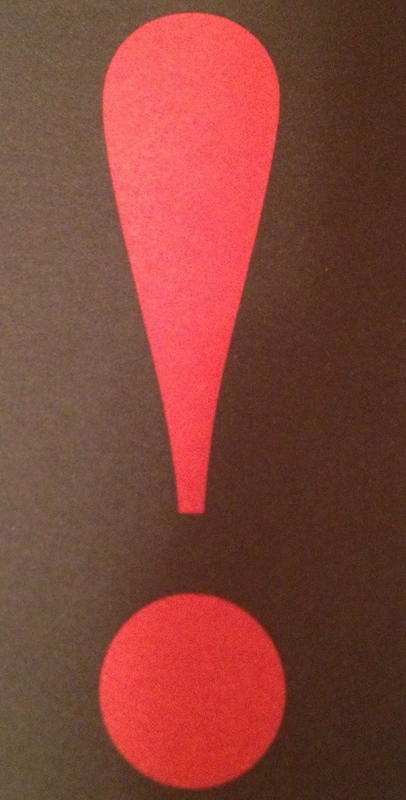 Today is truly a BOLD Exclamation Point! 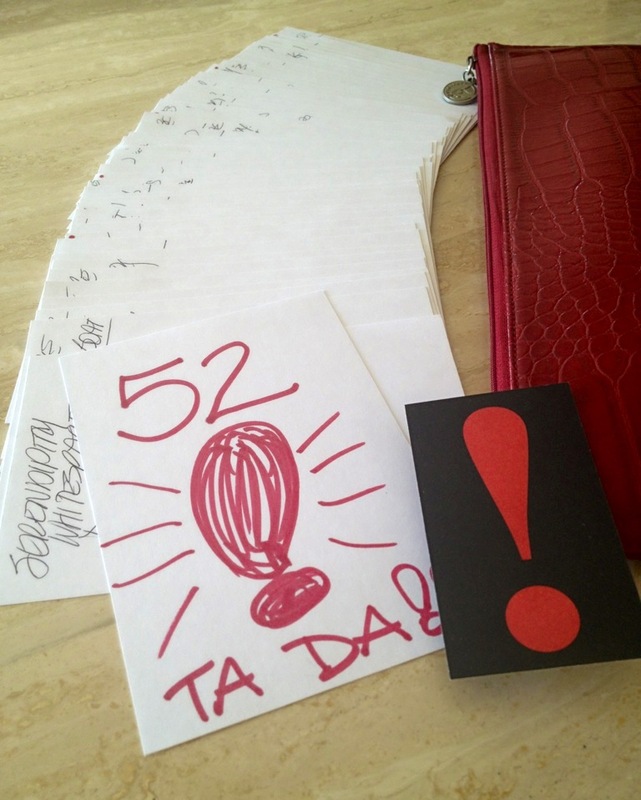 Day here at BOLD headquarters… I just finished crafting & drafting my book’s *52*… now the real writing begins! Wahoo!! Some milestones are not the kind we want to celebrate. UGH those. We simply want to get through, put those behind us and hopefully keep going… right?! Your next Celebratable Milestone is up to YOU! Photo: My TaDa! for accomplishing first (of many no doubt!) draft framing up my book.